The last house marketed in the Durlands Road area of ever-popular Horndean by Colin Shairp of Fine and Country Southern Hampshire attracted 13 viewings. Of those 13, one struck lucky with a successful offer which left an unlucky 12 still searching earlier this year. 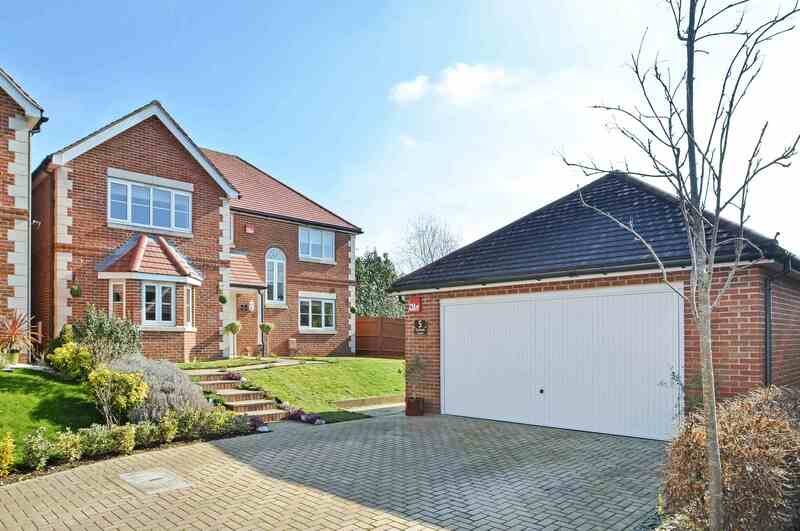 However, there’s good news for them because another top quality four bedroom home has become available in Durlands Court, this time tucked away at the end of the private cul-de-sac in an elevated plot that brings a large garden. “The house makes a superb family base close to the northern fringes of the Greater Portsmouth conurbation,” explains Colin. 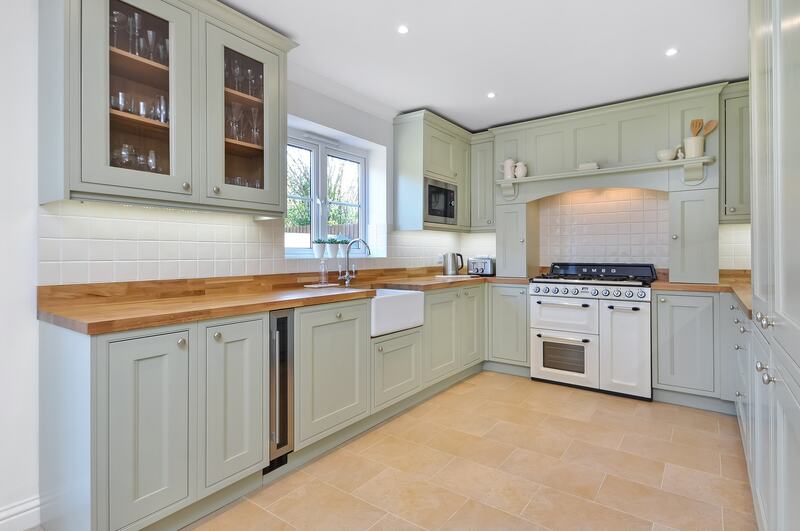 “The location makes it highly convenient for busy families with good schooling and shops close by and ready access to commuter routes yet equally convenient for getting out and about in the South Downs National Park which stretches north, east, and west for many miles and is gloriously unspoiled. “The house is one of only four in a similar style and is set in a discreet position away from the road and partially screened by its own double garage block. 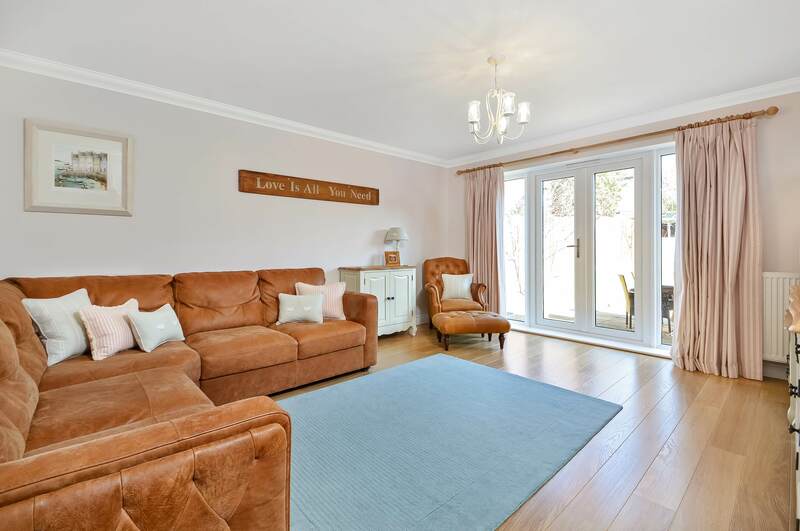 The front door opens into an L-shaped entrance hall with doors to three separate reception rooms and the superbly equipped kitchen / dining room which, like the adjoining sitting room, has French doors onto the rear terrace. 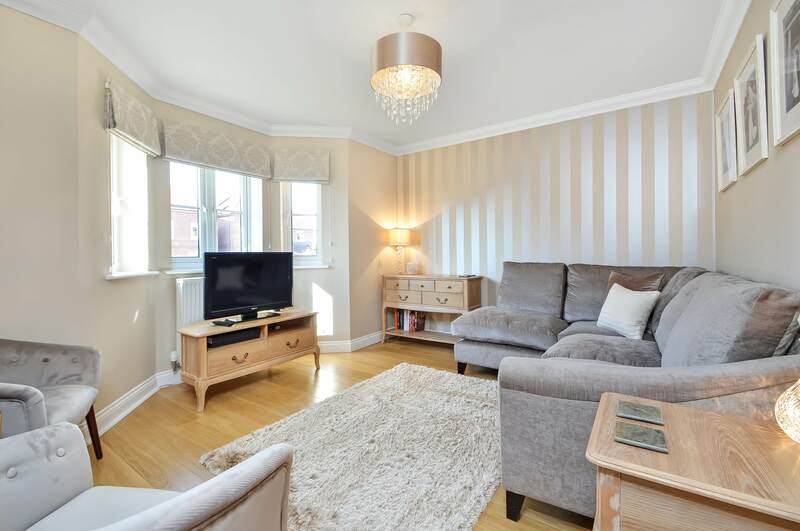 “At the front of the house is a family room set behind a bay window and a study, both providing quiet areas. The turning staircase is lit by an arched front window at half landing level and leads to the main landing. The first floor offers four generous bedrooms, the master with a walk-in wardrobe and, like the second bedroom, an en-suite shower room to complement the main bathroom and downstairs cloakroom. “The exterior style is very appealing, with brick steps beside the lawn leading up to the front and the brick walls with decorative courses offset by stone quoins and lintels. 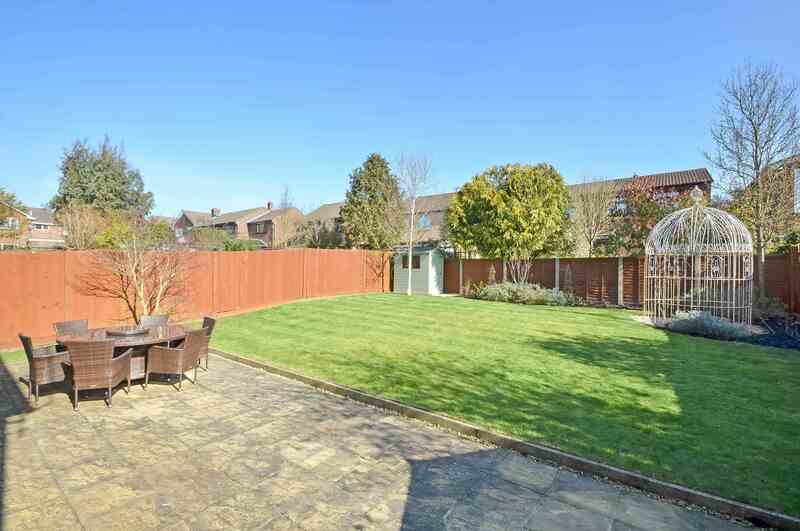 The rear garden rises gently, with a lawn stretching away from the terrace to a silver birch tree and cage arbour.